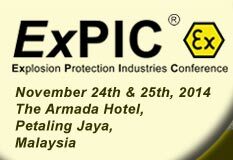 ExPIC 2014, the 7th Explosion Protection Industries Conference was held at the Armada Hotel in Petaling Jaya on November 24-25, 2014 attended by 90 participants. 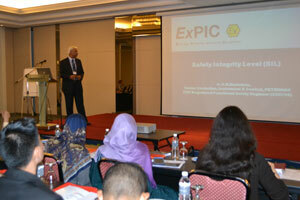 16 papers on explosionprotection were presented by 8 top-class speakers from testing and inspection authorities (Dekra Exam, Physikalisch-technische Bundesanstalt PTB, SIRIM QAS) and Petronas. 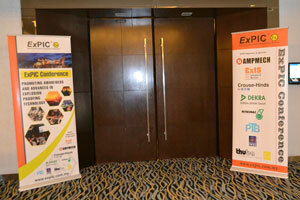 ExPIC 2014 Session in progress. 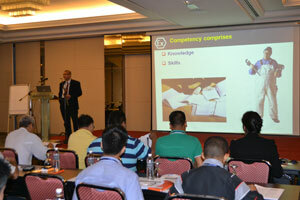 Ir Syed Fadzil, SIRIM QAS on Ex Competency Assesment. 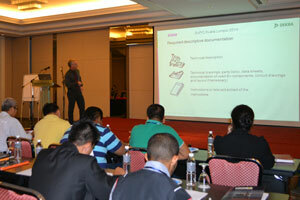 –	IEC 60079-14 "Electrical installation design, selection and erection"
Feedback from participants were all very positive. 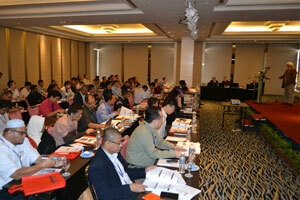 They particularly appreciated the practice-orientated topics. 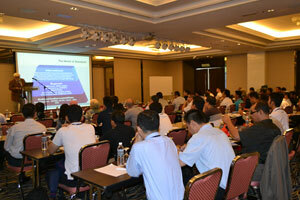 Particpants also show a lot of interest on the IECEx Personnel Competency Scheme. 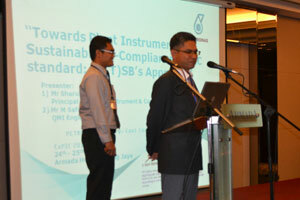 Ir Sharul, Petronas, on PTSB Ex Inspection. 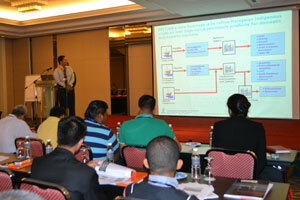 Ir Safwan, Petronas on Ex Inspection. 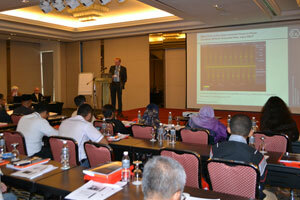 The Board of Engineers (BEM) through the Institution of Engineers Malaysia (IEM) approved the Continuous Professional Development (CPD) hours for this ExPIC event to be 12 hours, (ref: IEM14/PP/051/C). 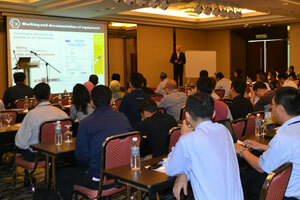 Dr. Wittler on Ex 'd' Testing. Ir Harindran, Petronas on SIL. 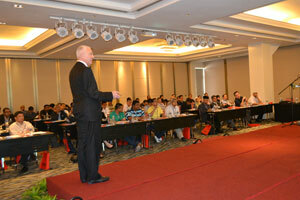 Dr. Lienesch, PTB on Ex Machine. Left-Quah, Gerhard, Lienesch, Wittler, Harindran, Peter, Hanif. Ismail. 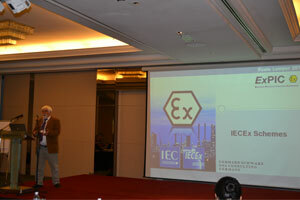 The date for the next ExPIC, the 8th ExPIC will be announced by May 2015. For those interest with the presentation topic stated above, please kindly sign up as New User or use your existing Username and Password to view or download the presentations.